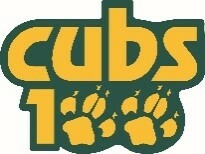 2016 is Cubs 100! That’s 100 years of fun, 100 years of adventure and 100 years of trying something new . . . that’s why we’re calling it the Wildest Birthday Ever. The final event of the year will be a national birthday party to celebrate the centenary and the Cubs will have the opportunity to remake their Promise. In GLMW we will be holding CubFest – The Wildest Promise Party Ever on Friday 16th December to celebrate in style. CubFest will be a fun and action packed evening open to ALL sections, members and families if accompanied by a Beaver, Cub, Scout or Explorer. Cubs will get VIP access to the main stage. Whether you want to try your hand at juggling, climb, play, shop or get back to basics in our Retro Zone, there will be something for everybody. We have Simon ‘Fire’ Chainey who will set the site alight with his amazing show, Steve Kaos who is truly a man to look up to as he demonstrates his awesome juggling skills and To Narnia playing some of your favourite tunes. If that isn’t enough, you could visit Santa before cutting some shapes on the dancefloor and then take part in the Promise renewal led by Tim Kidd. We will then welcome to the main stage a band who originally met at Cubs in Ruislip and then went through Scouting in GLMW, boasting 1 Queen Scout Award, an Ivor Novello, Brit nominations and have sold over 2 million records – SCOUTING FOR GIRLS. Tickets are £10 each and can be purchased by contacting Paccar Scout Camp on 01753 882640 or emailing office@paccarscoutcamp.org. Don’t delay – this is one party you don’t want to miss out on! Priority booking for GLMW is open until 30th September after which time it will be opened out to other Counties.